Why don't they have these in public restrooms? 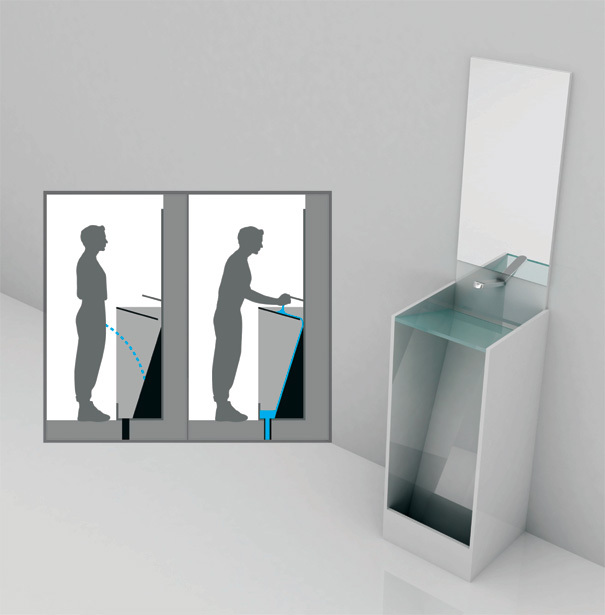 What this urinal does is conserve water, in a really clever way. After you pee, it uses the water used for for washing your hands to flush. Really smart way to save water and yet keep it hygiene’ish. I wasn’t able to find a source for this one but feel free to provide one. Previous: Minecraft meets kinect in an awesome way. yeah, listen fruitcake, cool idea to conserve water, but who really wants to pee and wash their hands in the same spot? its a gross design so fail.